I’ve been loving medium-length and hi-rise style shorts lately– the denim pairs I have are all so …short. Like, it’s been feeling too breezy back there short. No bueno. Lucky for me, AE is having a sale on shorts– just $25 per pair, score! I ended up getting #1 and a couple other pairs. 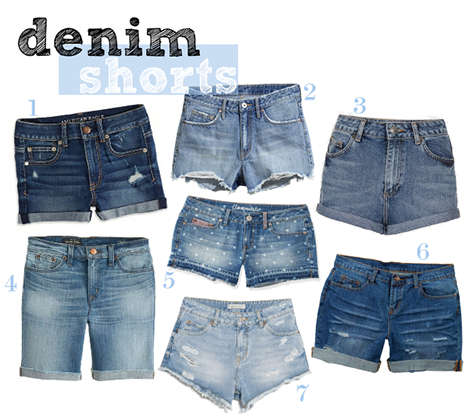 Above are a few other styles that are perfect for summer– which short style is your favorite?